In the aftermath of the Rs 12,900 crore fraud at Punjab National Bank (PNB) involving Nirav Modi and Gitanjali Gems, traders of loose diamonds are now shifting to organised sectoral players with deeper pockets for credit offers to consumers. Since most banks have tightened their lending to diamond merchants and others are in the process of doing so, many medium and small diamond dealers are approaching large players for credit facility within the industry. Early last week, State Bank of India, the country’s largest-public sector bank, announced its decision to tighten collateral demands on borrowers from the gems & jewellery industry. Several gems & jewellery makers and retailers recently observed at the India International Bullion Summit (IIBS) that banks had stopped lending to them as they now had a suspicious view of the entire sector, especially after the PNB-Nirav Modi scam. 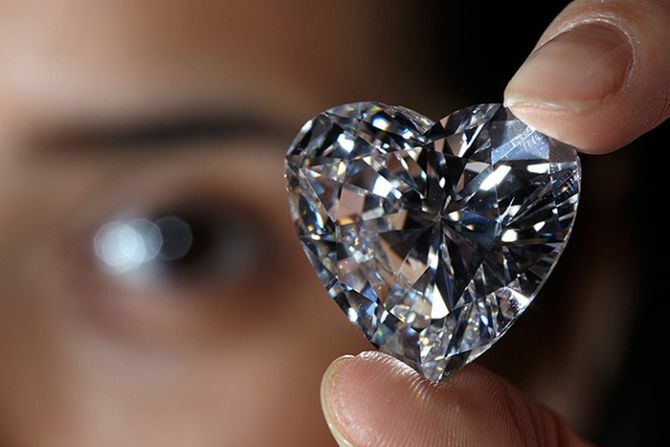 With organised sectoral players offering credit to small and medium sized diamond traders, the industry is set to move to a private credit regime. Organised players, including online diamond trading platforms like Indian Commodity Exchange (ICEX), are set to benefit from the ongoing shift in diamond retailing. “Organised players offer reliable diamond pieces certified by recognised global certifying agencies like the Gemological Institute of America (GIA) and International Gemological Institute (IGI) among others. "These diamonds are trustworthy. Apart from that, organised players also offer credit to small and medium sized players in the absence of credit facility from banks. "So, there has been a shift in the business from unorganised to organised sectors,” said Dinesh Navadia, secretary, Surat Diamond Association. Both the jewellery manufacturers involved in the alleged PNB scam - Nirav Modi and Gitanjali Gems - were said to have also been selling American diamond by passing them off as natural ones at much inflated prices. Organised and credible diamond certifying agencies have also witnessed a substantial increase in their volume intake over the past five weeks - since the scam broke out. Manoj Dwivedi, joint secretary in the Union commerce ministry has, however, called for a strong self-regulation in the gems & jewellery sector to avoid the recurrence of a scam. Informed sources said SBI had reviewed all loans sanctioned to jewellers after the PNB scam broke out to check whether adequate safeguards were taken. The bank has directed its officials to focus on increasing collateral to 40-50 per cent of the loan value or cut the size of exposure in case of any lacunae. Others, however, believe that some banks have started asking for 100-120 per cent of collateral of the value of goods following a ban on letters of undertaking (LOUs) and letters of comfort (LoCs) this week.